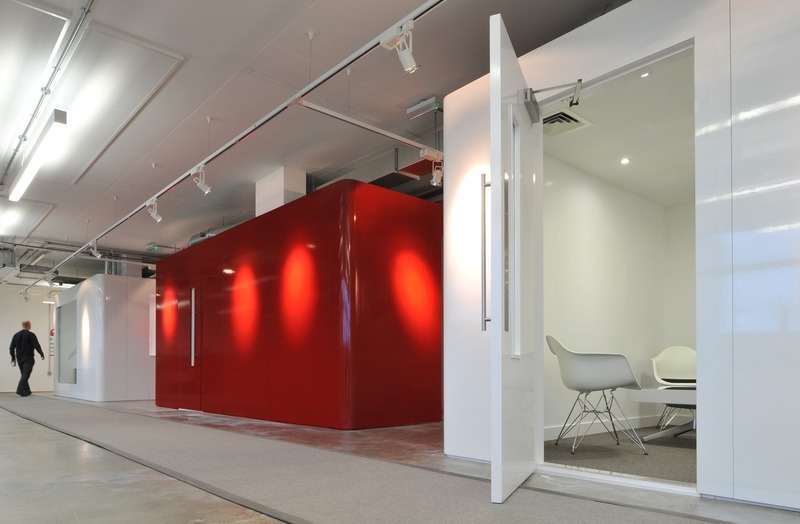 K2 have project managed the transformation of this exacting fit-out of an existing industrial unit in West London into a high specification headquarters building. The client, art materials company, ColArt International Holding Ltd, specialises in meeting the creative colouring needs of artists, children and crafters and consequently much importance has been given to satisfying their requirements for specific attention to detail. The purpose-built accommodation comprising of 25,000 sq. ft. was transformed into a multi-use space that was more than just an office. K2 provided Project Management, Cost Management, Management Consultancy, Project Planning and Design co-ordination services. ColArt now has an art gallery, hospitality area, product shelving area, open office space, an archive room storing precious artwork and a state of the art pod providing housing for office equipment, water station and wardrobe. It also has a research laboratory which is used for the development of new pigments and manufacturing technology and consequently new innovative products. The office has a number of conference rooms which accommodate meetings of various sizes. Because of the artistic nature of the company, there are many ‘artsy’ elements throughout the office like wall graphics, colourful accents, and of course an art gallery that displays work from local artists.